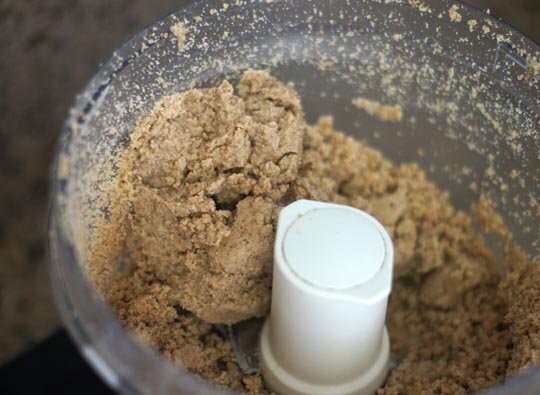 You will need to exercise some patience to make this and have a very good food processor! 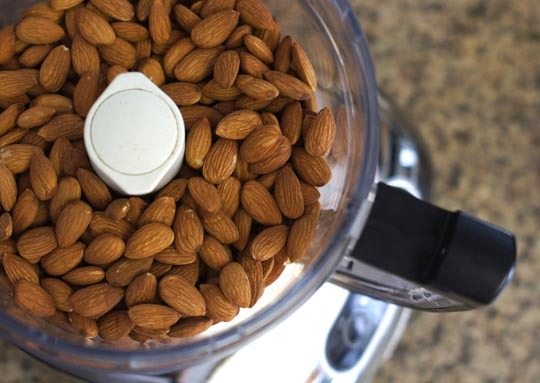 Add your almonds to the bowl of your food processor, fitted with an “S” blade. 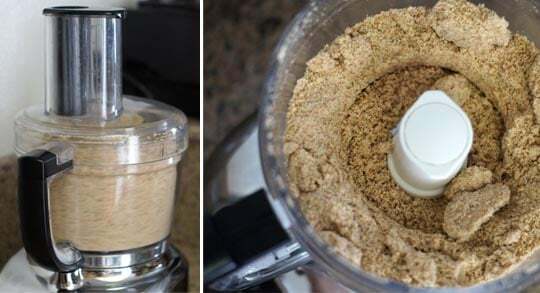 Place 3 or 4 cups (depending on the size of your food processor) of almonds in a food processor fitted with an “S” blade. Secure the lid and allow to process for 20-30 minutes, stopping and scraping down the sides as needed throughout the process. 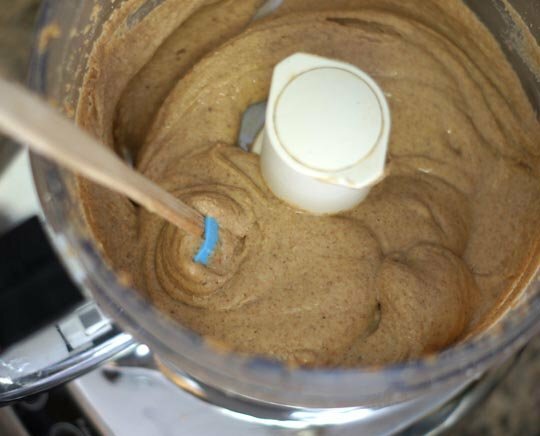 The almond butter is ready with the oils have released and the resulting butter is very smooth and creamy. You can use raw or roasted almonds. 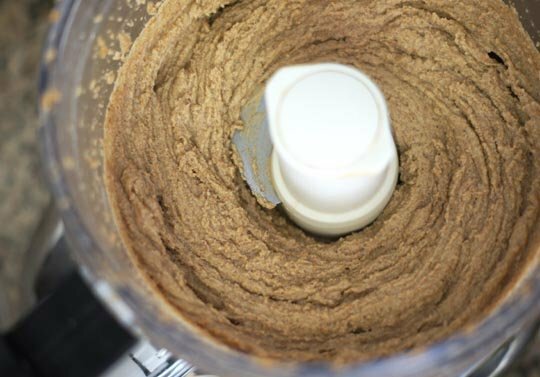 Raw almonds take a little longer, and freshly roasted almonds break down into nut butter faster, if added to the food processor while still warm. (You can dry-roast your own almonds for 10-12 minutes at 350F). Feel free to add salt or spices. Don’t use soaked almonds (without thoroughly drying), or add liquid, for longest shelf life. 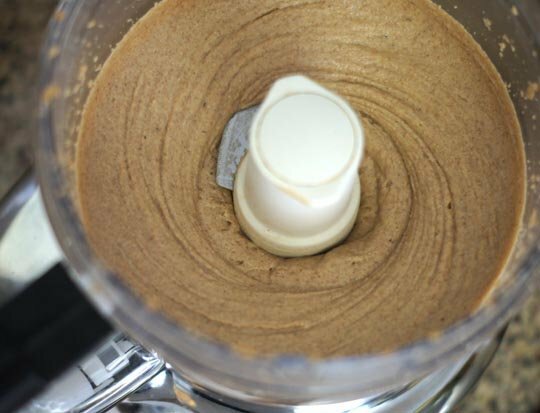 It might be tempting to add something like vanilla extract, but added moisture will reduce the shelf life greatly.